Here’s a lovely little tune by Doom and Gloom called “Keep Me.” It was released on 2/26 and is also available on iTunes. Please support them with a few $ if you can. 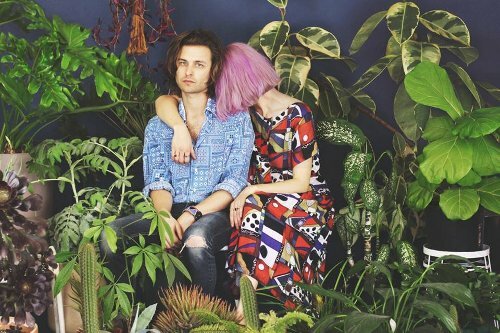 For those of you not keeping up (that would include me for the past few months), this is Nate and Liska, formerly of the simply wonderful (and missed) Eastside L.A. band Castledoor. It’s great to see they’re still making pretty music. They’re currently based in Fresno. 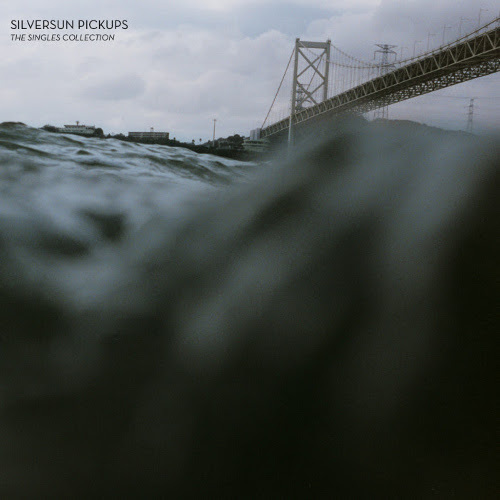 Big Silversun Pickups news today! It’s the official release of The Singles Collection, a vinyl boxed set that features all their “hit” singles on six 7″ vinyl records. It includes their new song “Cannibal” (see official video below) and “Devil’s Cup,” from the 2009 Swoon album sessions. To commemorate this event, they Brian and Nikki will be performing an acoustic set at Amoeba Music in Hollywood tonight (February 25) at 6pm PST. It will apparently be STREAMED LIVE, so check it out! (that’s 9pm for the East Coast). The “Cannibal”/”Devil’s Cup” disc is pressed on silver colored vinyl. 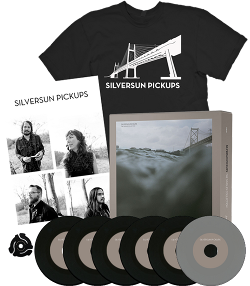 The Vinyl Box Bundle with extras ($65) includes an autographed vinyl box set, custom 7″ vinyl adapter, exclusive T-shirt, 11×17″ poster and instant mp3 download of “Cannibal.” The vinyl box with just the music, adapter and download is $45. You can also download The Singles Collection on iTunes. In my general mania for Eastside Los Angeles musicians and bands over the past five or six years, it seems I’ve only given a passing reference to one of L.A.’s true luminaries, Mr. Aaron Embry. This was a huge oversight on my part, which I’ll try to make amends for, at least briefly. For now, a quick bio and news about his upcoming solo album and Kickstarter campaign. When the album is released, we’ll have a proper look and a review. Does that sound ok? Good. Aaron has been huge on the L.A. music scene since the mid 1990s. He’s performed on guitar and keyboards for Elliott Smith (touring with him for the Figure 8 album) and toured with Edward Sharpe and the Magnetic Zeros (2009-2012). In 2012, he opened some shows for Mumford and Sons to support his debut solo album, Tiny Prayers (which you can listen to below). He’s also an engineer and producer, and has worked with Avi Buffalo and Daniel Lanois. Learn more about Aaron Embry on Kickstarter, read about his story, listen to some of his beautiful music and support this amazing musician! in our contracts of love, bound as slaves. with the wool securely over our eyes. and surely they begin to wilt and fade. and a dark cloud obscures the azure sky. while in the disguise of love. but only the azure sky. and word from lost ones forever reunited. Here is something very beautiful for your next meditation session or yoga practice. Or for ethereal housekeeping, if you’re in need of spiritual sonic inspiration to clean your refrigerator. 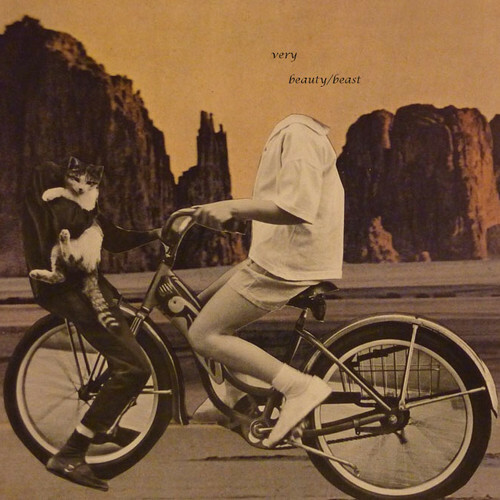 Very is Brian Cleary’s special side project (or “lovechild,” as it’s referred to on his soundcloud page). For those of you not up on your Los Angeles band lore, Brian’s main gig currently is as keyboard player with Radar Brothers, though countless years ago, he was also part of a now legendary band known as The Movies, which actually, before they became well-known in the Silver Lake part of Los Angeles, began in Boston of all places. But never mind about all that. Brian is also part of Strange Parade (yes, it most certainly is), which is probably the best place to get notice of when Very’s Beauty/Beast is available to purchase, which it will be, um, very soon. Beauty/Beast is Very’s debut album. 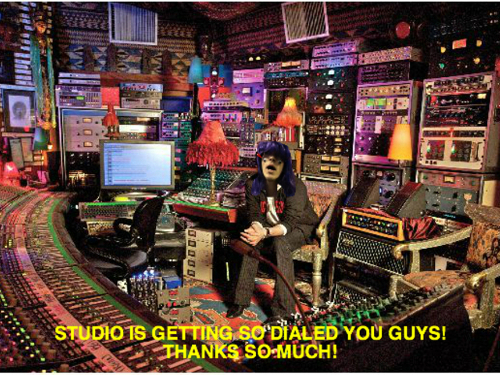 It was recorded in Brian’s home studio using analog keyboards, acoustic guitar, effects and a Zoom hand held recorder. As for the inspiration behind this gorgeous soundscape, it began on New Year’s night in 1984, when the first Very recording was made (coincidentally titled “1984”). It had to do with “The Day After” TV movie and Bill Nelson’s “Bette La Belle.” It’s all about dark versus light, which is revisited in Beauty/Beast. Just listen, ok? From the inimitable Sarah Negahdari is a song offering from her beautiful side project Pisces. 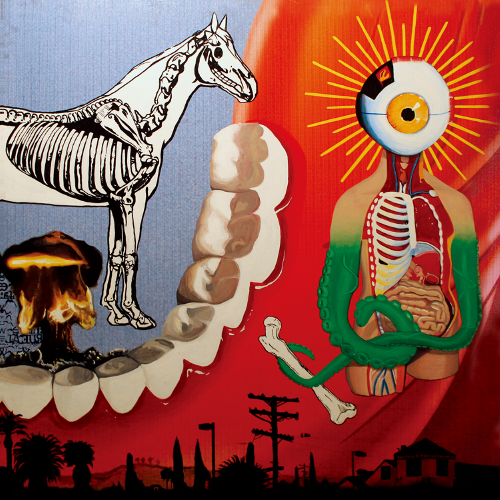 Called “Winter Horse,” it was first premiered on Buzz Bands in late January. 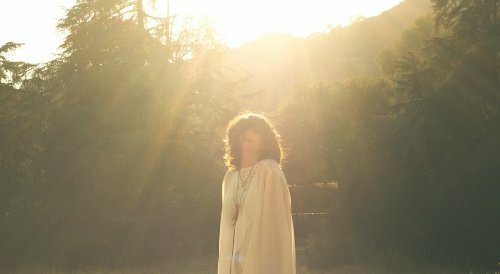 Needless to say, it’s every bit as magical as her main gig with The Happy Hollows and her “fill in work” last year with Silversun Pickups. Charlie Mahoney and Chris Hernandez of The Happy Hollows add their magic on bass and drums. It was engineered and produced by Joel Morales and David Newton. Just awesome. The last time I saw Airborne, they were tearing it up during an incendiary 45-minute set at Boston Calling. Consider this a continuation of my flakey attempt to see what my L.A. bands have been up to lately. I started this exercise in earnest at the end of last year with Black Hi-lighter, went boldly into the new year with Summer Darling and Sea Wolf, and then promptly fell off the face of the earth. Chalk it up to 2014’s strange beginnings, a curious job situation and the on again, off again polar vortex. Call it what you will. I’m back now to have a look at what The Airborne Toxic Event have been up to recently. By recently, I mean since last October, when they finished off with 13 European shows, marking the end of the “on again, off again” tour to support the brilliant Such Hot Blood. So what have they been up to? Uh, not a whole lot. Or I should say, not a whole lot that they’ve been talking about. One can extrapolate, however, from various sources. Their single “Hell and Back”, from the Dallas Buyer’s Club soundtrack album, has been doing really well, in the top 20 of Billboard’s “Alternative National Airplay” chart for 13 weeks now. Mikel Jollett has been all but invisible, save for a cryptic tweet every two or three weeks. There’s been a virtual “radio silence” from the rest of the band, except for Anna Bulbrook doing a few side projects, setting up her own studio, picking up some new musical skills and tweeting about her canine roommate, io. All signs point to a pre-recording scenario (writing, collaborating, arranging), and sure enough, a recent tweet from Anna announced a vague “listening session with Mikel Jollett,” so I guess that’s probably right.